Not all mulch is of equal quality. 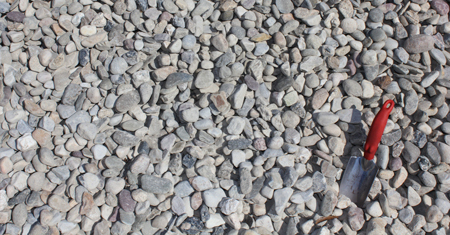 As a commercial company that has used many types of mulch’s you are well aware of this, and so are your customers. 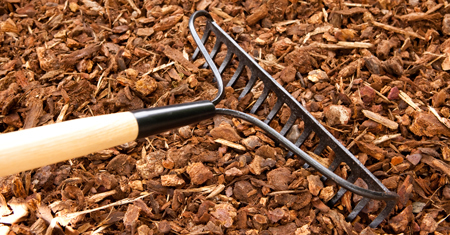 Many mulch manufacturers use all types of construction debris and broken pallet parts to add density to their products making them like the Chop Suey of mulch’s. A little color on these products will eventually display a lack of consistency and quality. Instead, Seaside Mulch scientifically has created a variety of mulch’s that are 100% pure in nature with no fillers or harmful additives. We closely guard our manufacturing processes to create the highest quality wood fiber on the market using superior colorants that retain their intended look longer than any other brand. Additionally, our mulch’s are designed for maximum moisture conservation as well as weed control, saving you time on the job and keeping your client’s landscaped areas more beautiful. 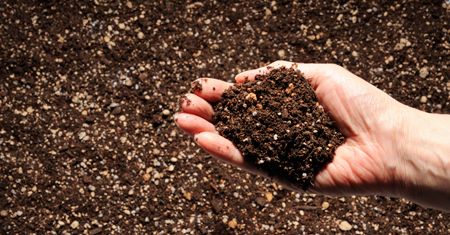 We provide Myrtle Beach SC wholesale mulch to local companies who pride themselves on providing the longest lasting, most moisture-retaining, wind and erosion resistant products. But we don’t just ship locally. 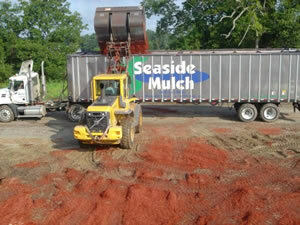 Our wholesale mulch products are in demand across the United States as well as globally. One of our signature brands, Forest Brown, made of 100% virgin wood fiber, has color that lasts 4 times longer than cedar mulch or pine straw. This means your customers will spend 4 times less on replacing their mulch as you service them. Our Seaside Red Mulch, another signature item, has a unique color, rich in red to provide exceptional contrast to gardens and other areas of landscaping, and is made up of the highest quality virgin cypress. We wholesale a variety of mulch’s to meet each gardening need you have. 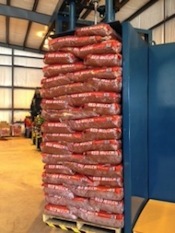 We can ship to you or you can come by our Conway location to pick up your Myrtle Beach, SC wholesale mulch. 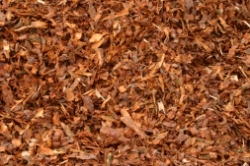 Be sure to click on our Mulch page to view the many other types of mulch we have. 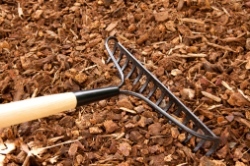 There you will also find a mulch guide to help you identify the best mulch for your particular project. If you need assistance or would like to place an order over the phone, you may do so at 843-358-9888.